Wheel bearings, suspension kits, brake discs for the automotive aftermarket: choose safety and quality from a wide range of parts from NTN-SNR. The expertise of our engineering team and our expertise in original equipment manufacturing gives us the ability to innovate and design products for the future. The kit includes all the components required for the correct assembly:these can vary depending on the vehicle to be equipped, the design of the manufacturer, the bearing itself and the necessary components for assembly (nuts, washers, seals, etc.). Original quality components come from carefully selected partnersfor guaranteed performance. Your stock management is simplified,because the number of references is limited. Our FIRST TO MARKET philosophy encourages us to launch new references as soon as possible, as soon as the vehicle is launched on the market. Our range, which is the widest on the market, allows us to respond positively to all your customers’ needs. Loose wheel bearings are 100% developed by our design and engineering departments in France and Japan. 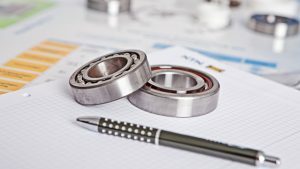 NTN-SNR is an expert in all wheel bearing technologies and technical evolutions. 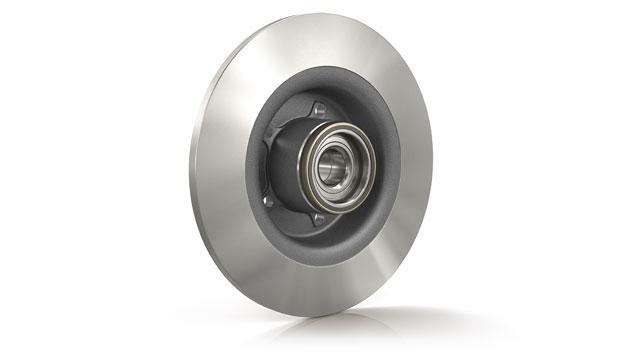 With each generation, the wheel bearing incorporates increased functionality, including technical developments. Take for example, the magnetic encoder that allows ABS and ESP to function together with Active Sensor Bearing (ASB®), invented by NTN-SNR). NTN-SNR is the first bearing manufacturer to offer you a complete range of wheel bearing speed sensors, bringing together all the technologies available on the market. Our range of ASB speed sensors includes nearly 300 references. 65% of these references are active sensors and 35% of them are passive sensors, meaning we are able to cover all of the technologies on the market. Our range is suitable for over 7,000 vehicular applications. Why take a chance with your safety? Opt for our wide range of approximately 30 references and our unrivalled expertise without compromising on quality. NTN-SNR brake discs with integrated wheel bearings are original items,identical to original equipment and comply with the manufacturers’ specifications and tested in R&D centres. The disks have been developed with our manufacturing partners of original equipment following the OE validation process. The tightest tolerances are applied for optimum life. NTN-SNR is at the forefront of development with numerous innovations. Suspension top mount kits integrate growing numbers of features (support spring, bump stop with integrated gaiter). Today, 5 types of suspension meets all the needs of the manufacturers. The NTN-SNR suspension range is one of the most comprehensive on the market with more than 400 products: MacPherson suspension kits, top mounts, suspension arm kits and rear suspension kits. Quality suspension system ensures that the wheels remain in continuous contact with the road surface. Did you know that a worn suspension can result in 15% more braking distance? cost reduction: at the same time as replacing the shock absorbers, take the opportunity to replace all of the suspension components. 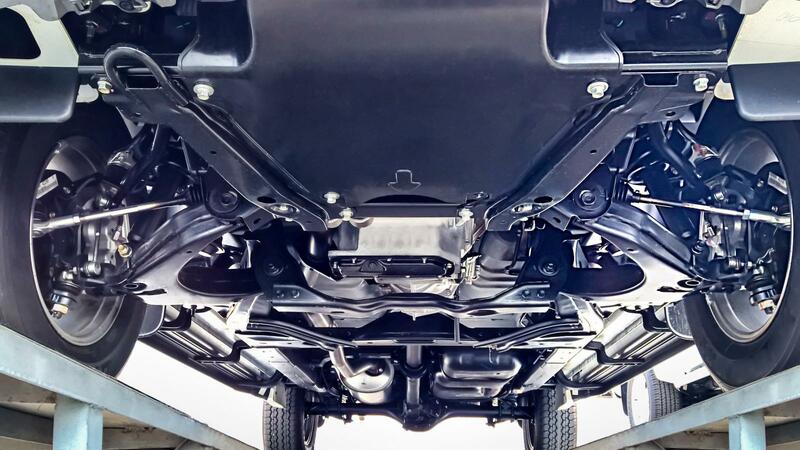 Without taking any extra time during assembly, it guarantees the level of safety and a smoother ride. We recommend replacing all the suspension components when replacing the shock absorber. A suspension strut kit will include all of the elements of the upper part of the suspension (bearing, screws, nuts, insulator). Suspension arm kits cover 100% of applications using this technology and include all elements necessary for fast and efficient assembly: bearings, seals, nuts, shields, etc. Rear suspension kits are composed of a rubber insulator block to reduce vibration. This ensures the effectiveness and safety of the suspension. It is simple to disassemble (does not require specific tools) and to replace, since it is removed at the same time as the shock absorber. 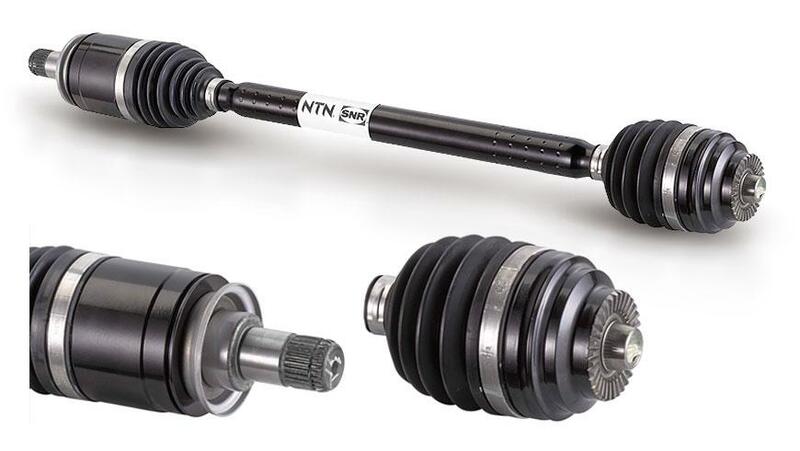 With an annual production level of many million units, NTN-SNR has expertise in all requirements related to the driveshaft: performance, efficiency, vehicle dynamics, weight reduction, vibration, noise etc. NTN-SNR can draw on its knowledge and expertise to develop a higher level of quality for original equipment and replacement parts. The driveshaft is the link between the gearbox and the wheels of the vehicle. How does it work? It ensures the driveshaft speed is the same at both ends. Regardless of the position or angle imposed by the movement of the suspension. NTN-SNR driveshafts are ready to fit. Along with rubber boots, circlips and nuts, they are greased and pre-assembled in our factories. This means you get a quality product ready to install. This kit is the answer to replace the outboard joint without the need to replace the complete drive shaft. The NTN-SNR CVJ boot kit consists of the outboard constant velocity joint, rubber boot, a tube of grease, as well as the fastening components, all contained within a single box under the one reference number. The CVJ Boot kit offers repairers a quality solution with parts that are identical to the OE products. The NTN-SNR boot kit provides protection for constant velocity joints. 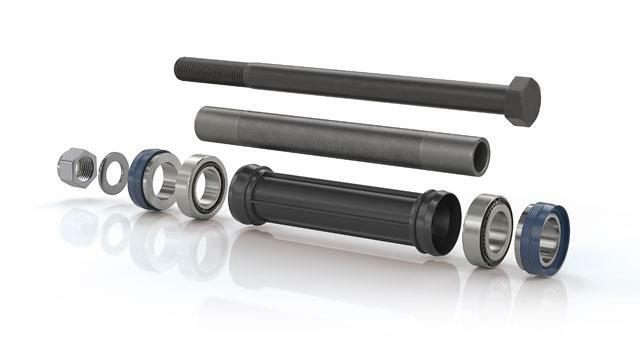 This is paramount for the reliability and the service life of the drive shafts. NTN-SNR boots are specifically developed for each application in line with the specifications of the vehicle manufacturers. The quality of the material, design and optimal adjustment ensures the superior quality of the product. NTN-SNR boot kits consist of all the components necessary for assembly.